Matthew Dear likes color. 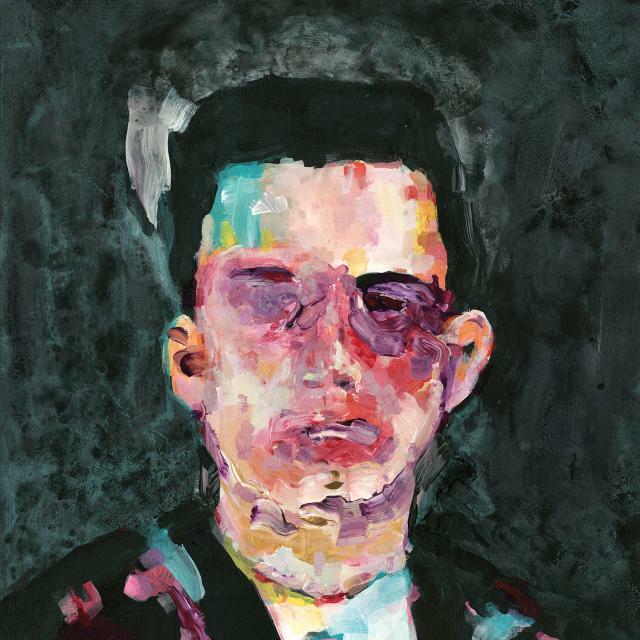 He made that clear when he chose this fauvist style portrait (above) for his forthcoming album, Beams. His recently released video “Her Fantasy” is in the same vein. It features a sequence of characters that you’d have likely come across at a trippy costume party in the ’70s. Everyone who masquerades through the video is bathed in a gauzy neon-pink light; psychedelic would best describe it. The music is upbeat, hypnotic, and hints at something vaguely tribal. Yet the video unfolds like any typical party. It’s a little awkward at first, which translates into a lot of self-aware, hesitant gazes into the camera. But that doesn’t last too long — coquettish glances are soon exchanged, drinks are poured, guests grow more animated and gradually start to uncoil. A fleshy circus dancer with a crown on her head starts feeding a string of beads to a portly pharaoh. By the end, everyone’s laughing maniacally, goblets in hand, and inhibition cast aside along with a sense of what dancing should look like. But during this opulent ode to hedonism, the most interesting person to watch is Dear himself. The throaty, robotic growl he maintains while his guests evolve confirms that he’s the one orchestrating this descent (or ascent, depending on how you see it) into debauchery. The video description explains that “Her Fantasy” pays homage to Avant-garde filmmaker Kenneth Anger. But to rabid Anger fans, it may read as a flagrant rip-off. Now regardless of whether or not that claim has any merit, we can say with certainty that Dear’s sumptuous wonderland would’ve at least earned him a ringing endorsement from Dionysus. Matthew Dear’s forthcoming album Beams will be out August 28th in the US and August 27th internationally.